Email pop-ups: from worst to best! Ask anyone and they’ll say they hate email pop-ups. However, with the ones that are well thought out and implemented, data says the opposite: people that interact with smart email popups spend more time on the website, see more pages and have a higher conversion rate. People only hate the pop-ups that they remember and they remember the ones that annoyed them, that stopped them from finishing what they were doing, that were impolite. After 1 000 000 email leads collected through targeted pop-ups via our product, PadiAct, I’ve seen pop-ups and sliders with subscription rates from 0.1% to 20%. Some companies choose to show pop-ups the moment a user interacts with their website, targeting 100% of the visitors, while others target less than 5% of their traffic but with great results. They show in your face asking for email address before even knowing what the website is about. They are ugly, annoying and they pop up every time you enter the website. 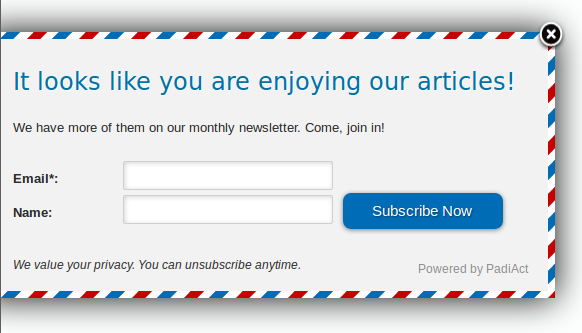 What is worst: they don’t give you a single reason for subscribing! That’s when you say out loud “What the…..” and quickly close the email popup and even the website altogether and never come back. You know them, they are the most popular. They bribe you with a whitepaper, eBook just before you enter the website. They call it ethical bribe. Ethical? Here is how it usually goes: You click on a link on Twitter, Google or Facebook that promises a good article and bam: “Receive the best most free ebook ever if you just offer your email address”. By the time you read the title of the ebook you already forgot why you came to the website in the first place. Couldn’t they have waited till you finished reading the article so you could decide if the content was worth it? Who knows, you might actually have gotten interested in that ebook after all. Not popups per-se, they stick at the bottom of the page till you subscribe. As long as it doesn’t take that much of the screen and your monitor is large enough to allow you to fully access the content as well, you’ll ignore it until, at some point, you might realize it is a good idea to subscribe. You actually want to keep in touch with the website. 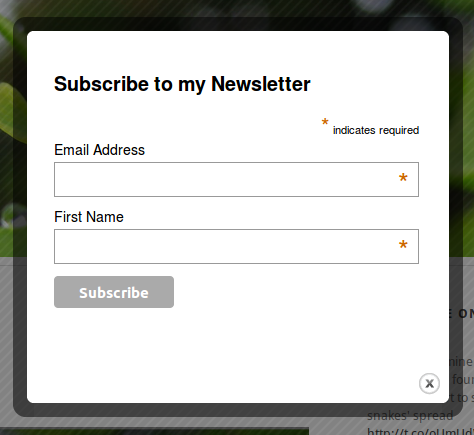 However, once I subscribe, please don’t do the mistake and leave the form there for me to subscribe again. Remember, I am already on your email list! Sometimes you get asked to subscribe and you just fill in your email address like it’s a natural thing to do. Why? Because you were asked at the right time: when you finished reading a great article, when you’ve seen enough products on a web store so you know you want to receive more from them, when you didn’t find what you were looking for and want to be informed of future updates. It’s not how they look like, it’s the timing. And of course, you were asked only once. No means no! Disclaimer: I am a little biased, the above slider is a screenshot from one of the sliders from our own product, built to help target people in order to ask them for the email address. However, I am also confident as with the right targeting we are seeing subscription rates of up to 15% with no negative impact on quality metrics. Even if the timing is perfect, you you want to understand what you are subscribing to. 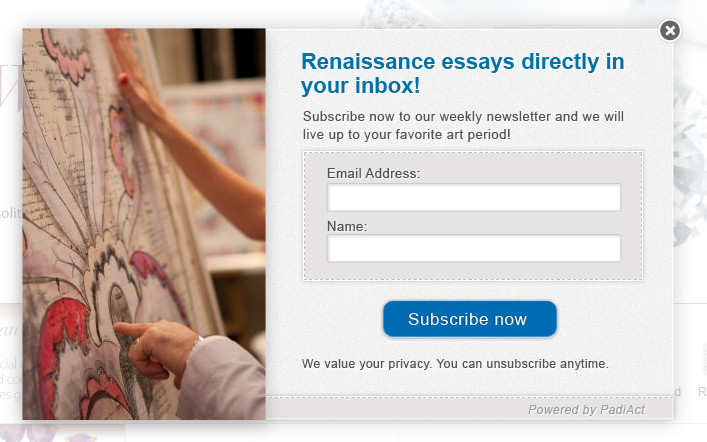 The message used inside the pop-up will be crucial to convince you to share your email address and opt in. 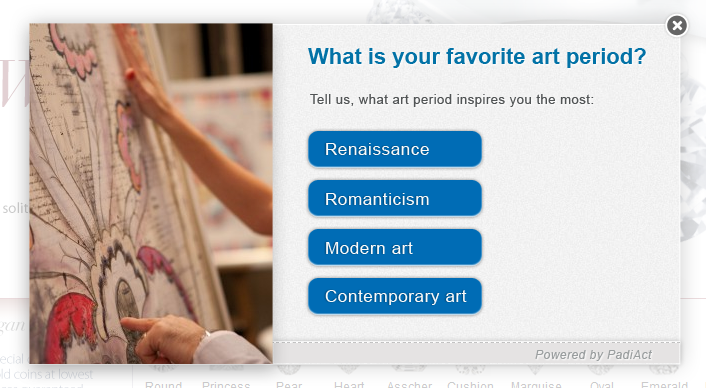 What better way than to start with a question whose answer demands no engagement (at first from the user). The website gets to run a quick survey on you which only costs you one click and, based on your answer, an offer is made to you that you can’t say no to. What is your experience with pop-ups? Have you ever tried using them to increase your email lists? Claudiu Murariu is the co-founder of PadiCode, the company behind PadiAct, a behavioral targeting tool for increasing email leads. Claudiu can be found on Twitter (as @padicode) and on his blog.